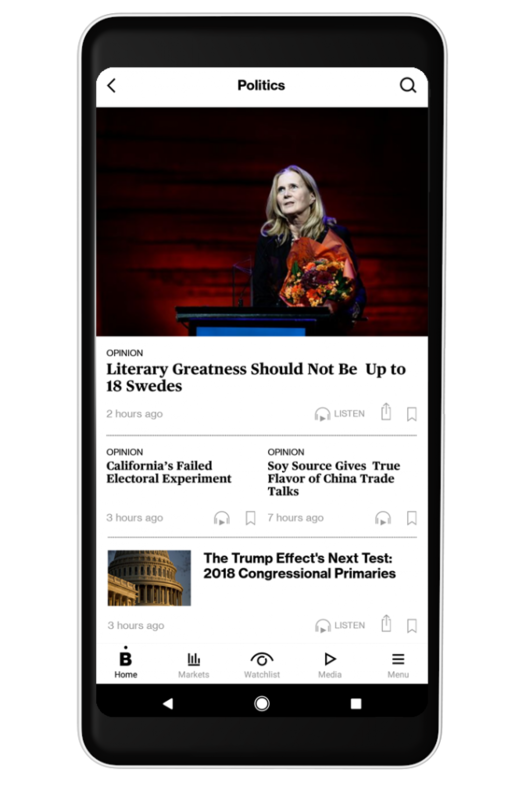 Connecting influential audiences to real news, ideas and intelligence as no other source can. Bloomberg’s influential roster of expert anchors and editors spans time zones and news experiences to deliver insight and intelligence that matters to global business leaders. Original content that traverses all platforms and time zones to illuminate the topics global leaders care about most. Strategies, communications and creativity that connects brands to the world’s most important audiences. Bloomberg’s team of creatives, technologists and data scientists continuously innovates to build powerful connections between our audiences and our advertising partners. With every media under one roof, we help brands activate global connections with the world’s most influential audiences. The latest news, insights and data that helps media and marketing professionals be smarter, faster. Our most recent announcements – and highlights from Bloomberg Media Group in the news. Premium experiences and insights an invitation-only global community for marketing leaders. Data-driven coverage – and context – across global politics, policy and power. 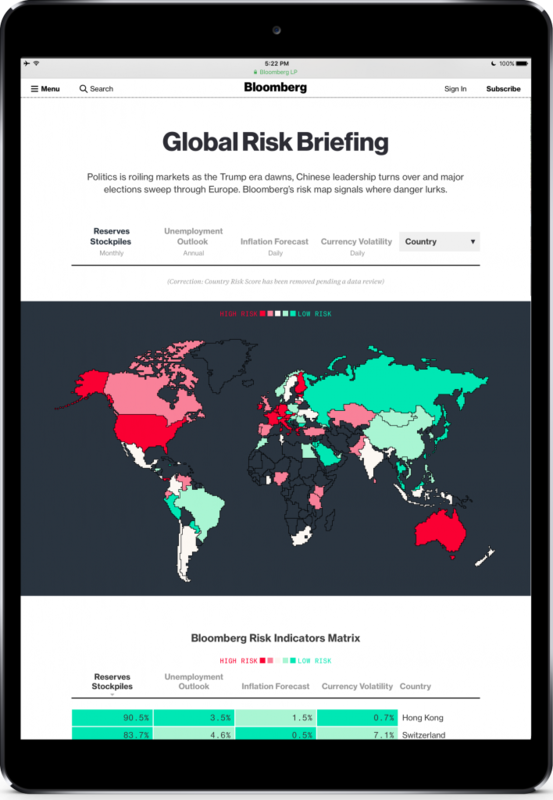 Long-form analysis combines with charts, interactive graphics and video backed by Bloomberg’s proprietary information to deliver the full picture around global events. 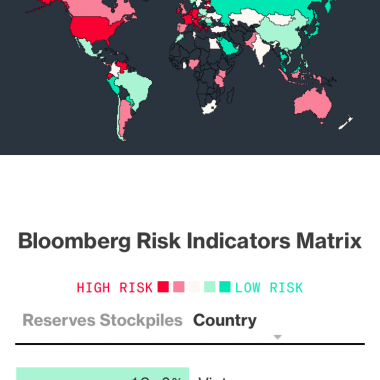 Bloomberg’s risk map signals how today’s flash points are playing out across the world. Dynamic in-stream unit pairs video and interactive visuals for doubly immersive brand experience. Rich, responsive experience embeds an expandable brand message with the content that matters most to your brand. Innovative rich media unit showcases your brand’s best assets in an interactive sequence. 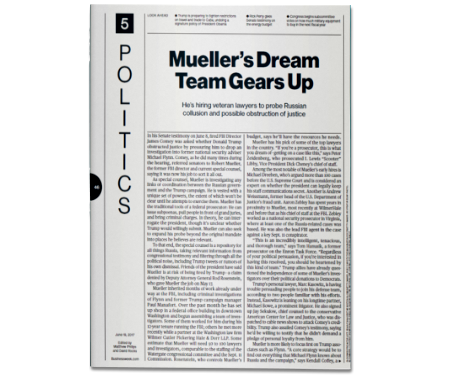 Videos and images courtesy of Bloomberg Media Distribution. Learn about licensing our content.